Since 1985, we have been manufacturing quality picture frame moulding for the industry. Our moulding products are milled, finished and packaged in our 40,000 sq. ft. facility in Texas. We offer a stock product as well as custom, made to order picture frame moulding. Recently, we have added architectural mouldings, wood flooring and pre-finished tongue & groove for ceilings to our line. 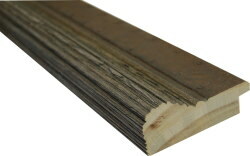 For our moulding product we offer a chop, thumbnail, cut-length, and bulk orders. We also distribute Designer metal moulding, Crescent matboards, Hunt foamcore and Tru-Vue glass. We offer a delivery service to Central and West Texas. 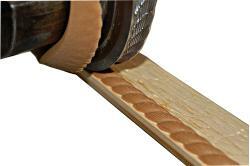 Our moulding product is available throughout the United States through a small network of distributors. See our distributors link for the one nearest you. With over 20 years of manufacturing experience, we have learned to do just about everything with respect to decorating picture frame moulding. Stained, painted, distressed, wire brushed, carved, embossed, compoed, gessoed, foiled, or leafed, whatever your needs, choose Singleton. All of our stock mouldings are available for immediate shipment. If we can't fill your order from stock, our production window is always 2 weeks or less. For custom or made to order our lead times could reach 3-4 weeks. Whether, major freight lines, UPS, or other, our central location allows for efficient and quick shipping to any location. ©2009 Singleton Mouldings, Inc. All rights reserved.